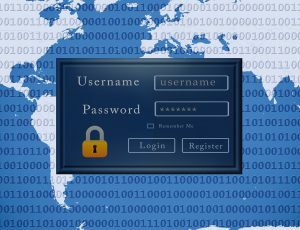 Everyone using the Internet is faced with the same challenges these days – how to stay secure online and how to keep your data secure, as well. Having an Internet security suite comes handy and helps protect against malware, spyware, and ransomware, but sometimes users need to do some work themselves because they can come across certain threats that no Internet security suite can protect them against. Malware or malicious software comes in different shapes and sizes – computer viruses, trojans, worms, spyware, and many more. It can be placed in downloadable files, videos, photos, and it can be present in emails or on websites (it’s important to note that the majority of websites do not have malware). 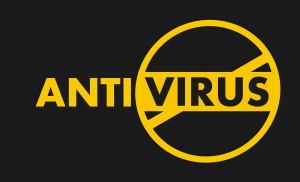 The only safe way to make sure your computer and data do not get infected is to install anti-virus software and run regular scans for malware. It is incredible to know that there are still many people using passwords like “password” or “12345,” which is not the best idea, and neither is using your pet’s name or your partner and kids’ birthdays. The best password is the one you can easily remember, but that will be difficult for other people and programs trying to guess passwords, and the one that contains a combination of special characters, at least one numeral and irregular capitalization. A password security software is also very useful, as it stores all your passwords in an encrypted environment only you can access. Malware and viruses spread because you click on a link sent to you by someone you know. So why would your friend send you a link that looks strange? The answer is this friend was probably the victim of a hacking attack, so if you see a link that looks odd and that was sent to you by someone you know, it’s best you text or e-mails them and ask if they sent it to you on purpose or not. This is one of the most basic data protection tips which is often overlooked. When you backup your data, you create a duplicate copy so if your device gets compromised, or even stolen or lost; all your important information does not get lost as well. Creating a backup on a different device like an external hard drive is the smartest thing to do and retrieving your data is a pretty simple and easy operation. Another level of security is added if you encrypt all your hard drives so that data inside them cannot be accessed. Controlling information that others collect about you is not easy, but there are some things that you can do to protect your data and privacy. Data or information brokers are companies which collect online data. They gather information from private resources and public records and create individual profiles which are sold to other organizations using them to target marketing and advertising towards specific groups. Whenever you have the possibility, choose to opt out of data collection. Make sure to control your privacy on your social media accounts, as well. Review their privacy settings and adjust them to your preferred security settings.